Carroll County Courthouse in Huntingdon, TN. The white limestone courthouse was built in 1931. 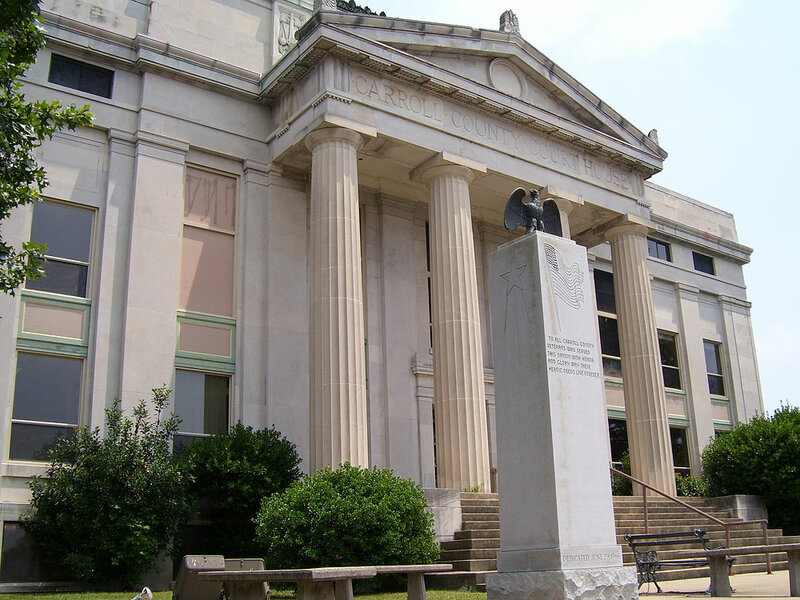 As the County Seat of Carroll County, Tennessee, Huntingdon is at the center of political and business activity and is a major proponent of arts and cultural affairs. Located in beautiful downtown Huntingdon, The Dixie Carter Performing Arts and Academic Enrichment Center is a major attraction across West Tennessee and beyond. New highways, a nearby airport and the 1000-acre Carroll County Recreation Lake, opened in 2013, mean Huntingdon offers even more than the typical comforts of small-town America. Our town boasts a population of almost 5,000 citizens in a county-wide population of near 30,000 people with great schools, excellent public services, and friendly, caring neighborhoods. Huntingdon is located midway between Nashville, the state capitol, and Memphis. Nearby colleges and universities include Bethel University, the University of Tennessee-Martin; Freed-Hardeman, Jackson State Community College, Lambuth University, Lane University, Union University, and Murray State University. The overall climate is temperate, with an average temperature of 64 degrees and an average precipitation of 49.73 inches. The frost free period generally lasts from March 20 to November 12. Winters are usually mild, with little or no snowfall. The Huntingdon High School Marching Mustangs have earned Tennessee Division 1 State Marching Band Champion title in 1978, 79, 91, 92, 2003, and 2005. TSSAA Hall of Fame member Paul Ward worked in Huntingdon as a teacher, football coach and superintendent. Country music star Jessica Andrews was born in Huntingdon. Former governors Gordon Browning and Alvin Hawkins called Huntingdon home. Huntingdon is the home of Rockabilly legend Carl Mann. Mayor Dale Kelley is a member of the Bethel College Hall of Fame, the TSSAA Hall of Fame, the Carroll County Sports Hall of Fame, and the Tennessee Sports Hall of Fame.